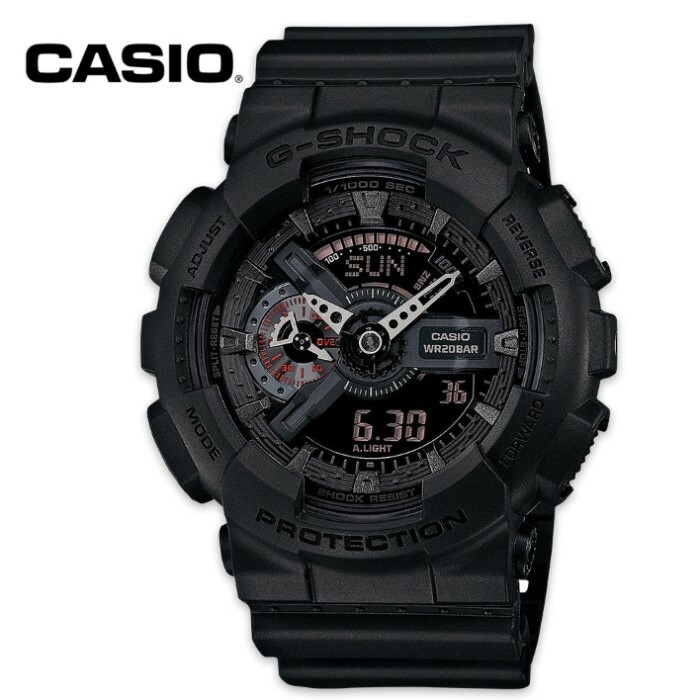 Casio G-Shock Ana-Digi Black Military Watch | BUDK.com - Knives & Swords At The Lowest Prices! Casio presents its military inspired line of watches, which represent some of the very best of the tough and durable G-Shock timepieces. This watch has a matte black finish to the band and case for those dark missions. It has an easy-to-read auto LED light with afterglow, full-auto calendar and 12/24 hour formats. It is shock, magnetic and water resistant (200m). It features world time for 48 cities, four daily alarms and one snooze alarm. It also has stopwatch with direct access and a countdown timer.